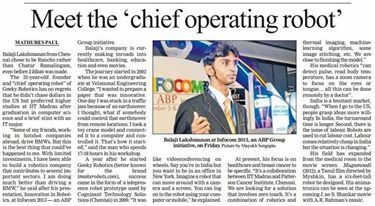 Featured in “The Telegraph”, Calcutta.Spoke on “Innovation in Robotics” at India Infocom event. 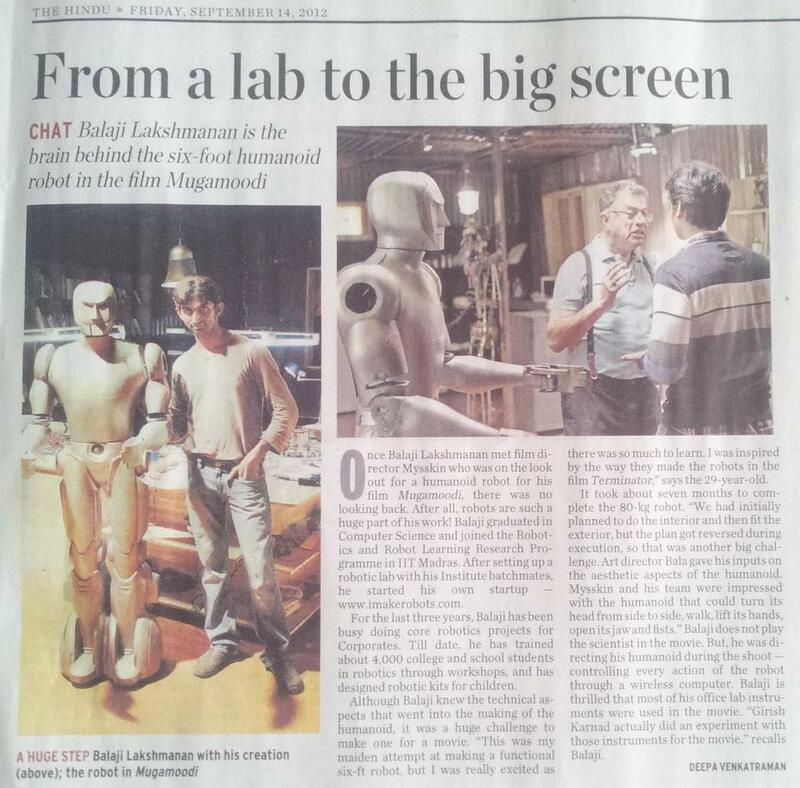 http://www.telegraphindia.com/1131207/jsp/calcutta/story_17652105.jsp#.UqLhBfQW1mc — in Calcutta. 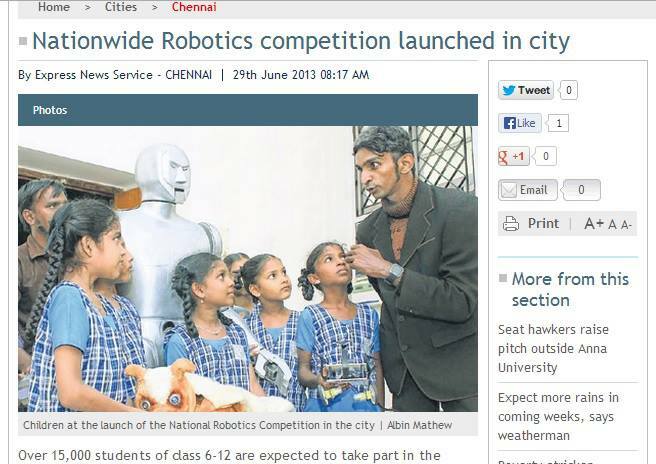 Always get animated explaining robots to kids. Love the same excitement from kids. 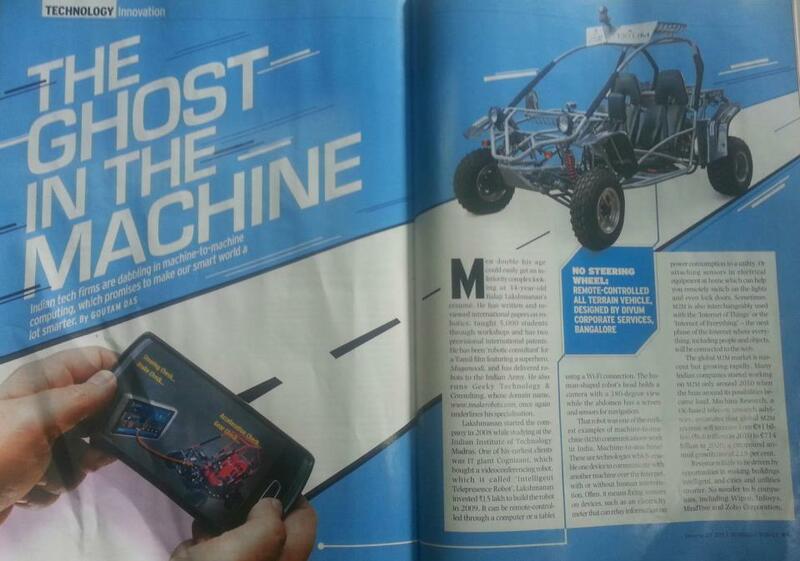 Dare Magazine, January 2010. Srijan IWSB B-Plan Competation. Our team Amrita had been covered. Sweet surprise to see the snap. We are getting mentored by the panel. Back in undergrad college most of us were left with two options. Post Graduation or Work. Entrepreneurship was GRE word. There was no exposure to e-word, very few that we knew who started up, no initiatives from college. We thought grey haired or (almost) zero haired people can only start companies and requires huge investments. Glad that things have changed. 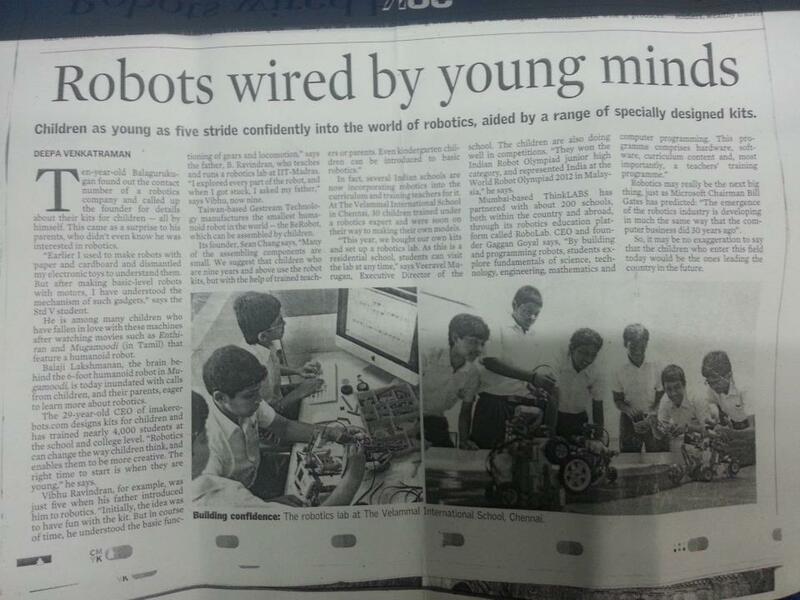 Many or i should say most students are thinking of entrepreneurship. 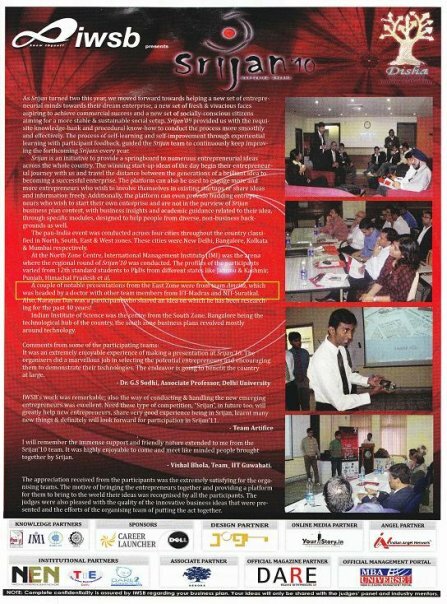 There is great exposure to startups, many unconferences conducted, startup culture encouraged in colleges through e-cells. 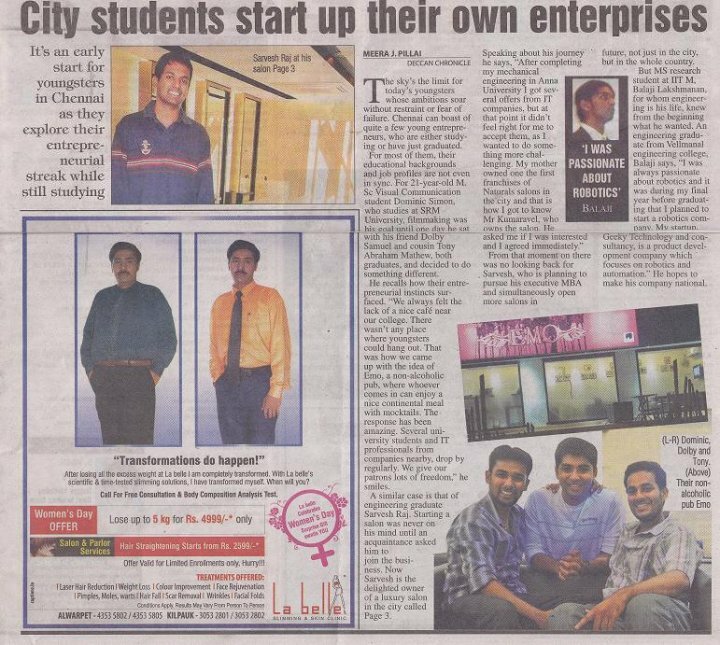 A significant ground work has been done by National Entrepreneurship Network (NeN), a non-profit organisation founded by the Wadhwani Foundation, to nurture the next generation of entrepreneurs. 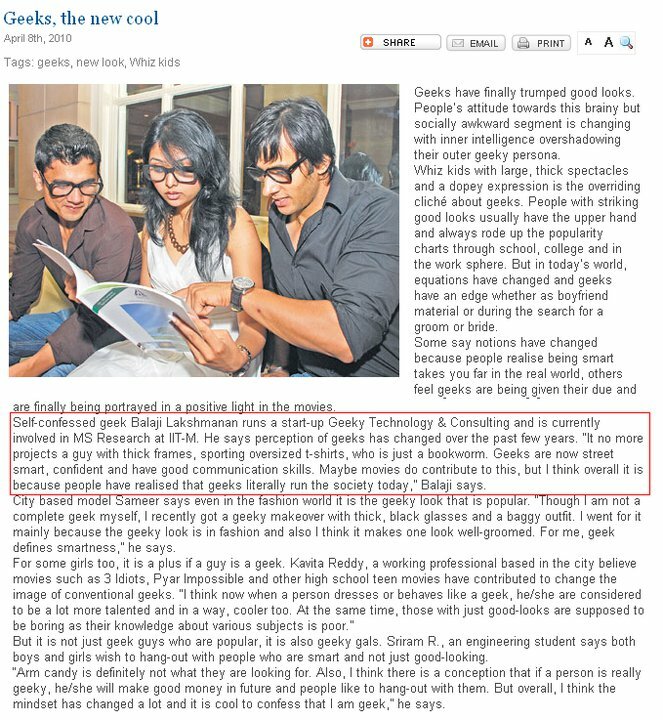 I remember members of NEN, relentlessly going around colleges to educate them to start e-cells. They also followed up in startup meets like open coffee club, proto etc. 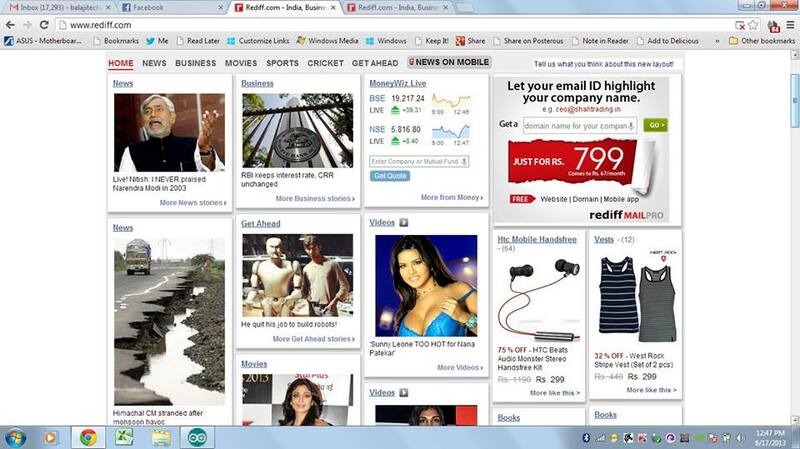 The market and Web has also matured. Any country to consistently progress needs Entrepreneurs everywhere. 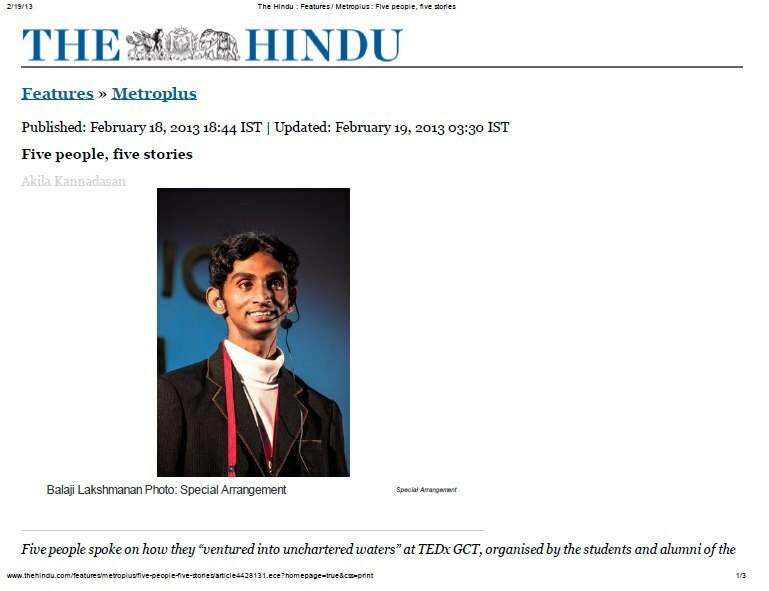 Hindu Education Plus does have a good reach. 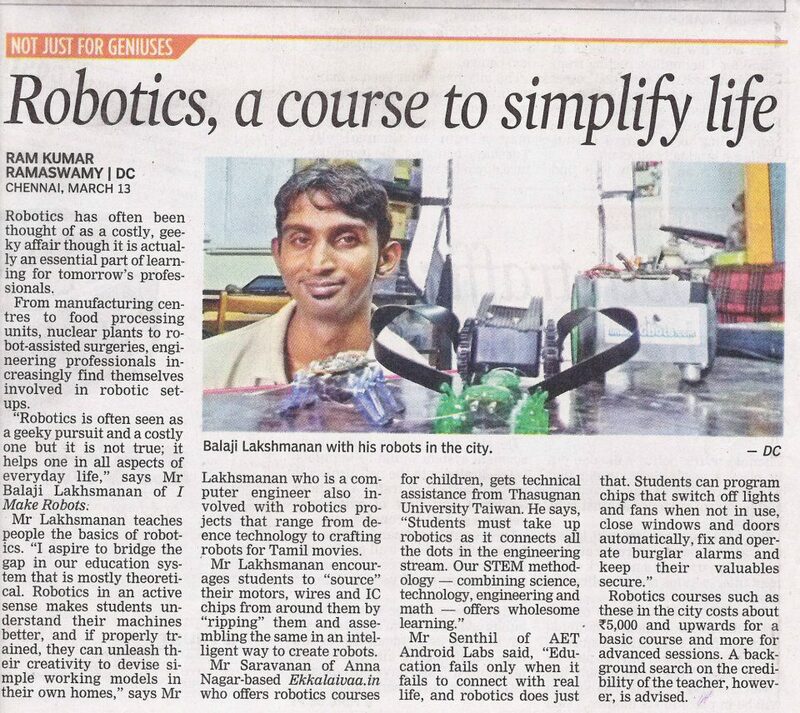 Been getting calls to support in Robotics, invitation to collaborate even from outside Tamil Nadu. I have no idea how i got smitten by startup bug. 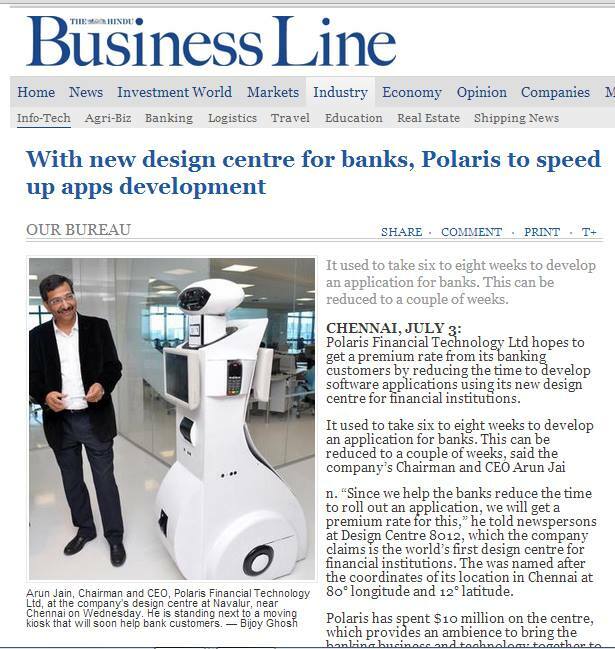 Am glad i started up Geeky Technology & Consulting and making telepresence robot for a client. Dont just work for someone for the whole life. Startup atleast once in your only life. 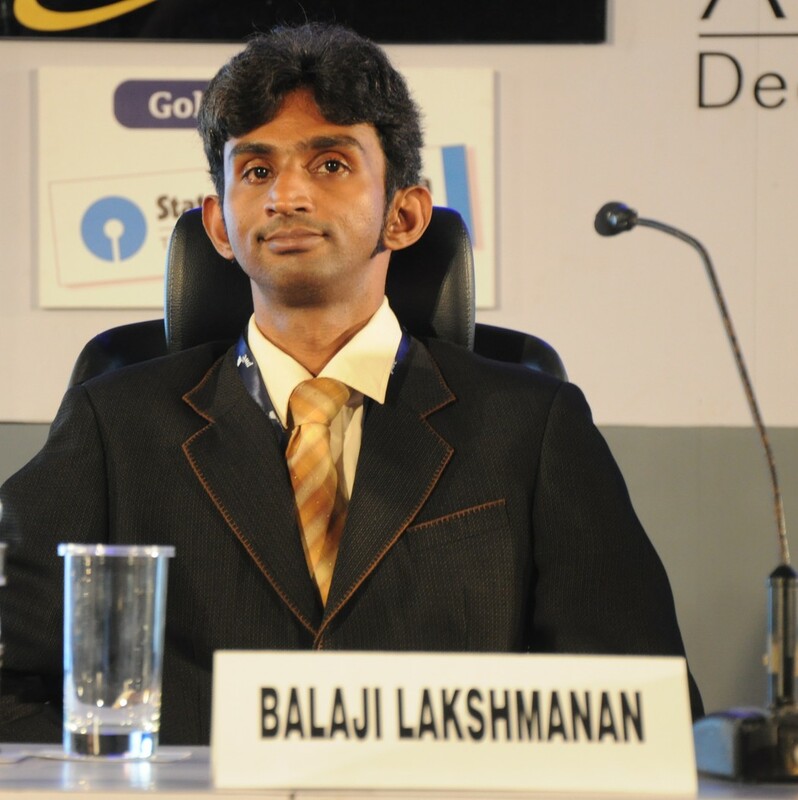 Some free marketing for Balaji Laksmanan(That’s Me) and my StartUp Geeky Technology & Consulting along withOCC Chennai. 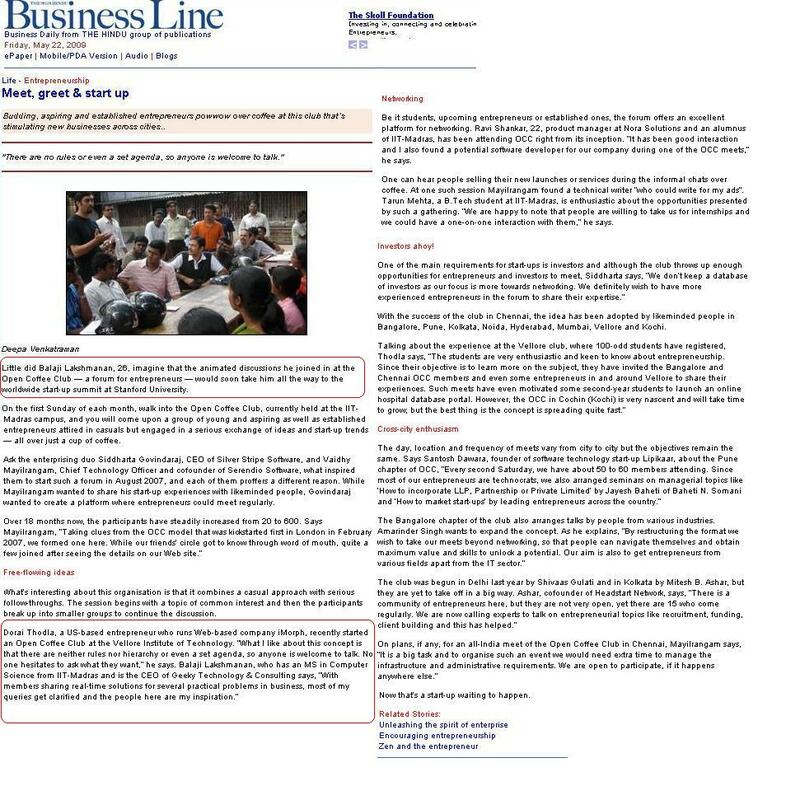 Just like i have shared in Business Line “With members sharing real-time solutions for several practical problems in business, most of my queries get clarified and the people here are my inspiration” , its a good forum to observe and learn from people with entrepreneurship vibe. 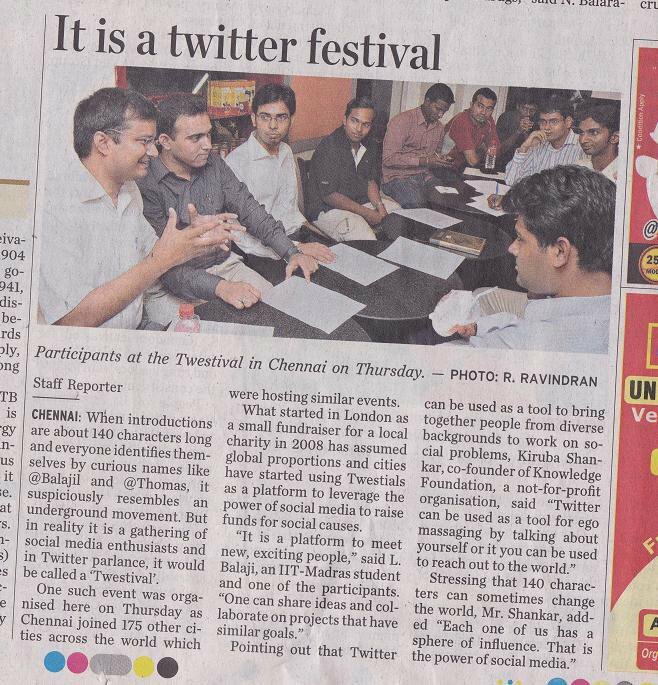 I still remember attending the first ever OCC Chennai two years back. I reached outside the venue and was wondering if i should go in. 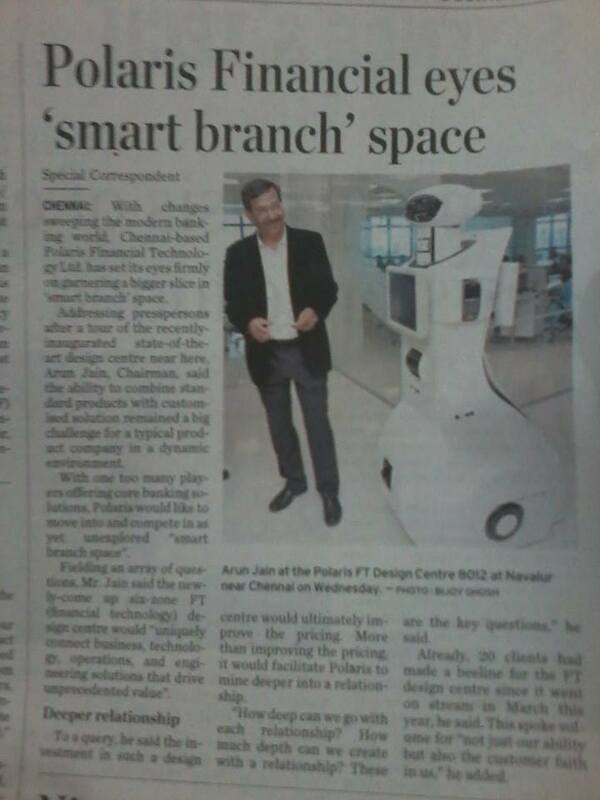 I was just an enthu student from IIT Madras who had little idea why i was there. I decided to walk in and am thankful for it. OCC often has a mix of folks who are experienced entrepreneurs, Investors, those who have just started up, wanna be entrepreneurs, students and folks with little idea why they are there. 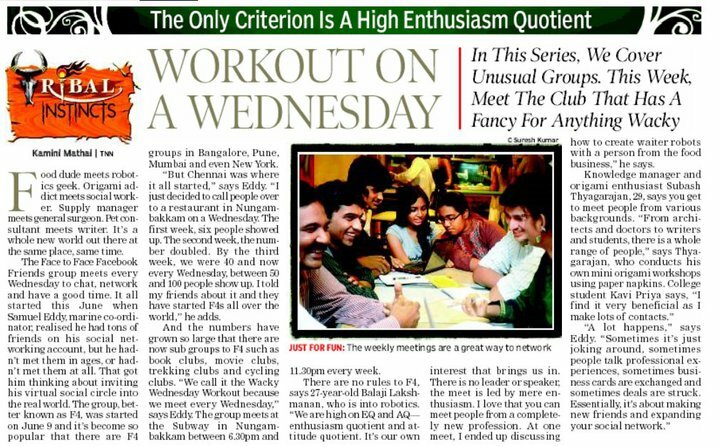 Gives a good opportunity to observe, network and learn from the group. Many friends with whom i brainstorm, share, collaborate. Better understanding of the business and corporate world and know hows of starting up. Additional reason to be selected to attend entrepreneurship summit @ Stanford and partial sponsor for my travel to attend the summit. Check here for my sponsors and here for what i learnt from summit. Most importantly, help me to transform from wanna be entrepreneur to someone who had Started UP. Feel free to buzz me if you wanna chit chat about your current/future StartUp. 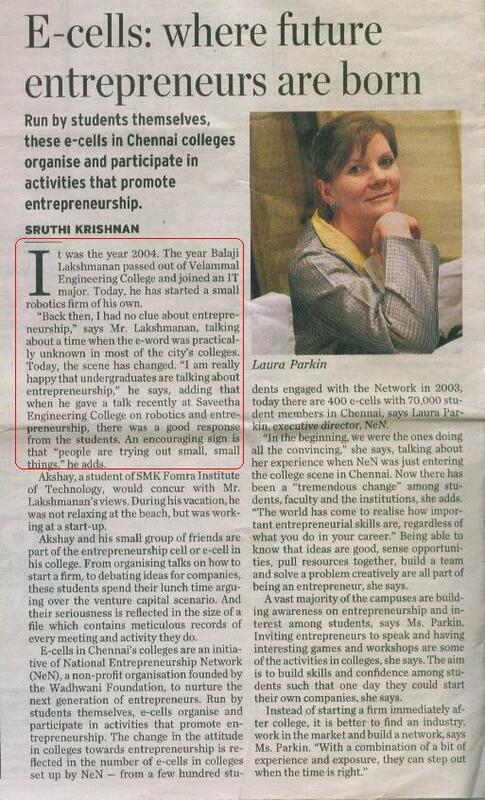 would love to c u in our campus ….. probably i met u in IIT Madras for a workshop on robotics in Exebit……….